Early this morning my Travel News Sense started tingling (translation: I searched google). I sensed there was something new in the world that needed blogging about, something fresh, something exciting, something in the middle east. Sure enough, there was. Etihad Airways announced a new airline alliance imaginatively called Etihad Airways Partners. So is it an actual alliance or just fancy marketing? A couple of years ago, Etihad started buying stakes in seemingly random airlines, including airberlin, Air Serbia, Darwin Airlines (now Etihad Regional), Air Seychelles, and Jet Airways. There were rumors floating around that Etihad was going to purchase Alitalia at the peak of its financial struggles, and the deal for 49% of Alitalia announced in August 2014. We started to see how everything would start coming together today. Sounds great, right? And, according to the Etihad press release, any airline can join, even if it’s part of another alliance like airberlin! So who are the first members of this new alliance? You guessed it: airberlin, Air Serbia, Darwin Airlines/Etihad Regional, Air Seychelles, and Jet Airways. In whom Etihad already owns a stake. Also, there’s an airline in whom Etihad owns a stake that is conspicuously absent from the list of airlines in the new alliance: Virgin Australia. So what’s the big deal? Honestly, I think this is a bit of fancy marketing and shouldn’t have too big of an impact on most ATB readers. Etihad owns stakes in all of the alliance members, it makes sense to start coordinating routes and schedules for cost and service benefits. What I am really curious about is whether or not this will affect airberlin’s Oneworld Alliance membership. I hope it doesn’t, airberlin has a surprisingly nice transatlantic service on their A330s and lots of award availability that I’d miss when I travel home from Europe. Another part of me thinks this could be another move in the perennial game of one-upmanship between Etihad and Emirates. Emirates: Look! Our A380 has SHOWERS! Etihad: Oh yeah? Our A380 has an APARTMENT with a BUTLER! Emirates: Well…we’re…working on something like that too! 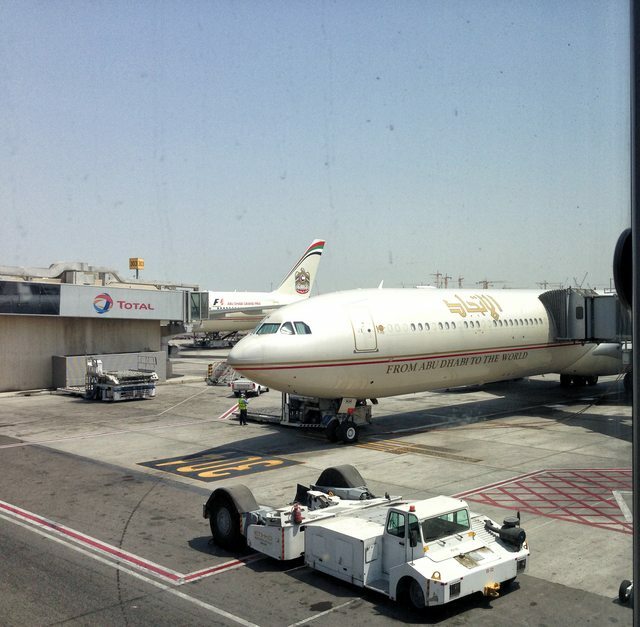 Etihad: Have fun with that, we also have our own AIRLINE ALLIANCE! What do you think about the new alliance? Are we looking at the 4th major alliance or is it just a marketing ploy?